Personal Fitness classrooms with an experience trainer tailored as per your needs including swimming as well. Karate classes for kids age 4-14 yrs in Alwaab with certified Karate coaches from Qatar Karate Federation. Unparalleled temperature-controlled swimming facility and training classes under best swimming coaches, in an international standard, heated swimming pool. The pool provides facilities at par or even better than pools at 5-star hotels at fraction of the price that these hotels charge. Availability of lockers to safe keep your items and proper change rooms to get dressed in swimwear. Get a personal attention from an expert to keep you motivated ensuring 100% result. We understand your psyche and body strength before giving you a personalized training program. We understand the importance of right diet along with workout thus we create a personalized meal plan that suits you. No matter what stage of life you are at if you want to get healthy and Fit we are there to help you. Chess coaching classes are available here. Chess is a board game played between two players. It is played on a chessboard, which is a square-checkered board with 64 squares arranged in an eight-by-eight grid. This is one game that helps increasing the concentration to the master level. This age old sport is finding its way all in a new package; let yourself join the race and be among the front runners. If you want to see yourself in a position embedded with respect and success then is your chance to join in. Technical course on Karate is available here. Complete coaching and guidance is given to the students by our faculties, who carry years of experience in teaching and students' understanding. We provide in-depth practical training to the students. Concept clearance is done in detail by our trainers. The course is designed meticulously by the institution. On yoga, life coaching classe are available here for the interested candidates. We provide extensive training on various aspect of yoga. Intensive training procedures are followed by the trainers of our academy. Complete concept clearance is one among the prime learning essentials for this course. Personal care and attention is provided to all of the students. Martial art training in Karate is done by us. Karate is a martial art developed in the Ryukyu Island from indigenous fighting methods. Karate training emphasizes the psychological elements incorporated into a proper attitude such as perseverance, fearlessness, virtue, and leadership skills. At Kalabhavan a high-energy filled positive environment for development of this art is being provided, along with ample opportunity to practice the techniques and drills which are lead by well trained Instructors. Here the Shotokan method of training is followed. 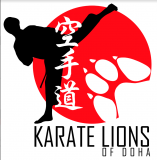 The certificates are issued by The Qatar Karate Federation. The Kalabhavan provides Yoga classes for anyone looking to relax, unwind and improve their flexibility and core strength. Everyone can practice yoga, regardless of age, ability or fitness level. You’ll learn breathing exercises, physical postures and meditation techniques to help you develop your flexibility and balance.